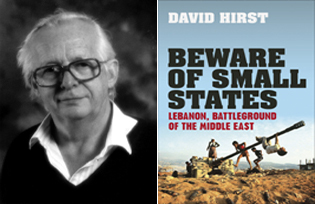 My interview with David Hirst, author of Beware of Small States, reviewed here, was done on behalf of the indispensable Electronic Intifada. 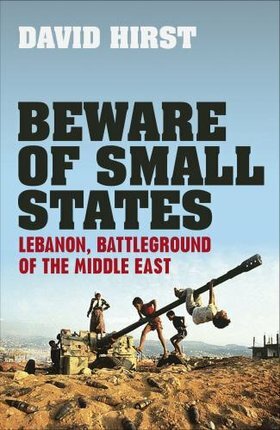 Veteran Middle East correspondent David Hirst, author of the seminal work on the Palestinian plight The Gun and the Olive Branch, has a new release: Beware of Small States, an equally important book on Lebanon’s complex tragedy. The Electronic Intifada contributor Robin Yassin-Kassab interviewed Hirst on his work and views. Robin Yassin-Kassab: You did your national service in Cyprus and Egypt just before the 1956 Suez War. What effect did your first experience of the Middle East have on you? Why did you end up spending your life in the Middle East, particularly in its more violent corners? Have kidnappings and bannings discouraged you? David Hirst: Yes, I was one of the last generation of British 18-year-olds obliged to do two years of military service. Politically speaking, it had virtually no effect on me; I was an immature youth from a thoroughly apolitical middle class background, and knew next to nothing about international affairs, and hardly knew, for example, the difference between Arabs and Israelis. But — unusually for a mere private soldier — I sought and secured permission to use a fortnight’s leave to travel round Syria, Iraq, Jordan and Lebanon. I enjoyed the experience. After three years at Oxford, I could not think of a career to embark on. Remembering the American University of Beirut, I wrote and asked them if there were any kind of introductory course about the Middle East that I could follow there. There was. With a vague idea of staying there for a couple of years or so, I found myself drifting into journalism, and, taking to it, I ended up staying fifty.